Oberheiden, P.C. Protects the License and Freedom of Psychiatrists, Psychologists, and Health Care Providers Across the U.S. But the investigations have long extended beyond clinical psychologists and licensed psychiatrists. Clinical social workers, licensed professional counselors, mental health counselors, certified alcohol and drug abuse counselors, nurse psychotherapists, marital and family therapists, psychiatric or mental health nurse practitioners, all report an increase of pressure from insurance companies and heightened scrutiny while battling over fair and just reimbursements. That said, Oberheiden, P.C. has seen first-hand how mental health care professionals in New York, Pennsylvania, Virginia, Ohio, Florida, Texas, and several other states had to fight to defend and protect their license and their good name. If your practice is under audit by commercial insurance or Medicare plans, if you were notified of a patient complaint against you in the context of controlled substances prescriptions, or if you are otherwise aware of an actual or potential investigation against you, don’t make the number one mistake: Do not sit back. Call attorney Dr. Nick Oberheiden right away. Defense cases often depend on doing the right thing at the right, early time. Don’t miss that opportunity. Call Oberheiden, P.C. today. Consultations are 100% free and 100% confidential. When you trust Oberheiden, P.C. with your legal challenges, you know that your case will never be delegated and that no paralegal, associate, or junior lawyer will be involved. We respect that all our clients come to us in a situation of concern and we dedicate our time and offer our joint senior experience to achieving your goals. Who Are the Targets of Mental Health Care Fraud Audits and Investigations? What Gets Mental Health Care Professionals in Legal Trouble? More than ever before, auditors and prosecutors accuse mental health care providers of billing fraud, upcoding, billing for services not provided, providing medically unnecessary services, referral kickbacks, and, psychiatrists in particular, of violations of the Controlled Substances Act. There are two types of audits, the routine audit and the targeted audit. Every provider will encounter a routine audit at some point during their careers. Targeted audits, however, will look for specific misconduct based on the fact that the physician is already declared a fraud suspect. What Is the Process of Getting Indicted? Nobody gets indicted overnight. It’s a lengthy process between a complaint, the beginning of a formal investigation, the assignment of a case to a prosecutor, the call for a grand jury proceeding, and the actual indictment. The key is to react immediately with the help of a lawyer to stop the process as early as possible. What Exactly Is Health Care Fraud? 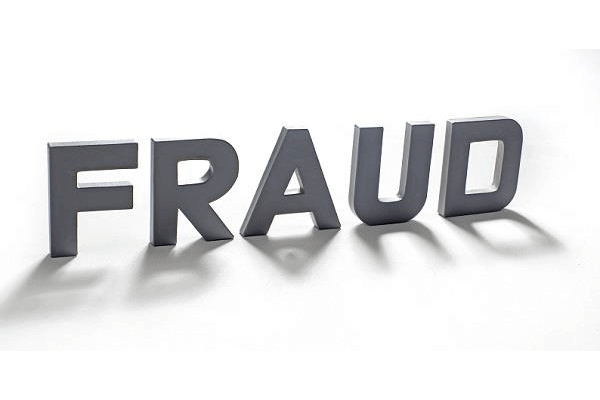 Federal law defines health care fraud as the knowing and willful execution or attempt to execute a scheme to defraud any health care benefit program or to falsely obtain any benefit of a health care program. The defendant knowingly and willfully executed or attempted to execute a scheme to defraud a health care benefit program or falsely obtained a benefit of a health care program. The defendant made false statements that related to a material fact. The defendant acted in a willful manner and intended to defraud the health care benefit program. The defendant’s actions were in connection with the delivery of health care benefits, items, services, or the payment for them. What Federal Statutes Govern Health Care Fraud Investigations? What Are the Penalties for Mental Health Care Fraud? The potential penalty for conviction of health care fraud is up to ten years imprisonment along with criminal fines. The following are small excerpts of recent prosecutions against mental health care professionals from different parts of the country. All summaries are based on publications from the Department of Justice. Two psychiatrists from New Orleans were indicted in February 2018 for their alleged role in in a health care fraud scheme. Muhammad Kaleem Arshad, M.D., and Padmini Nagaraj, M.D., were each charged with one count of conspiracy to receive illegal health care kickbacks and three counts of receiving illegal health care kickbacks. According to the indictment, both psychiatrists conspired with a home health company and bribed the owner of the company to refer patients for psychiatric evaluation. Another individual who worked as a marketer for the home health company (who has also been indicted), allegedly negotiated the bribes for the two psychiatrists. The indictment further alleges that the psychiatric services the patients received as a result of this kickback scheme were medically unnecessary. These medically unnecessary services were then submitted to Medicare for reimbursement. This case was investigated by the FBI and HHS-OIG. A psychiatrist from Houston was sentenced in September 2018 for his role in a Medicare fraud scheme. Riyaz Mazcuri was convicted after a five-day trial in the Southern District of Texas. According to evidence presented at trial, Mazcuri, a former attending psychiatrist at Riverside General Hospital in Houston, submitted over $150 million in fraudulent claims to Medicare based on him certifying patients for partial hospitalization program (PHP) services. PHP services are intensive outpatient services for patients with severe mental illness. Mazcuri falsified medical records and wrote false reports in order to make his patients qualify for PHP services. Evidence also showed that Mazcuri billed Medicare for services he never actually rendered. Mazcuri was convicted of one count of conspiracy to commit health care fraud and five counts of health care fraud and was sentenced to a term of 150 months in prison. his inability to work. Kranz also started receiving benefits from this insurance policy as well During this time Kranz was receiving disability benefits, Kranz continued to work as a psychiatrist and earned over $1.6 million yet did not notify the SSA or his private insurance of this income. Kranz is alleged to also have hidden his income from the IRS and did not file a person tax return from the years 2006 to 2013. Kranz is currently charged with tax evasion, mail fraud, wire fraud, theft of government funds, and Social Security disability fraud. A federal jury in Lexington, Kentucky convicted a psychologist in 2017 for his involvement in a social security fraud scheme. According to evidence presented at trial, Alfred Adkins worked with a former administrative law judge to submit fraudulent documentation to the Social Security Administration in order for claimants in Kentucky to receive benefits, regardless if they were entitled to them. Adkins would see patients and then write false reports that would support the payout of disability benefits from the SSA. The fraudulent documentation and claims also allowed for attorney’s fees to be reimbursed, which allowed the administrative law judge to pay Adkins after the claims were processed and paid out. Adkins received more than $200,000 as a part of the scheme. The total amount paid out by the SSA as a result of the conspiracy was over $600 million. Mr. Adkins was sentenced to 25 years in prison for his role in the offense. A clinical psychologist, along with the owner of a psychological services company were convicted in 2017 for their roles in a Medicare fraud scheme. According to evidence presented at the 7-day trial in the Eastern District of Louisiana, both individuals contracted with nursing homes in several states throughout the Southeast to provide services to the nursing home residents. Both individuals submitted claims to Medicare for the years 2009 – 2015 for services that either were not medically necessary or were not performed at all. As a result of these fraudulent claims, Medicare paid more than $13.5 million. Both the owner of the psychological services company and the psychologist were each convicted of one count of conspiracy to commit health care fraud and one count of conspiracy to make false statements related to health care matters. Call Dr. Nick Oberheiden Today for a Free Consultation. How Many Health Care Fraud Audits and Investigations Have Your Attorneys Handled? 500+ (Dr. Nick Oberheiden alone). Are Initial Consultations Free and Strictly Confidential? Absolutely free and 100% confidential. Who Would Handle My Case at Oberheiden, P.C.? Experienced senior attorneys only. Oberheiden, P.C. will not delegate your case to associates or junior lawyers.